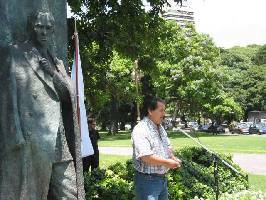 The 61st. 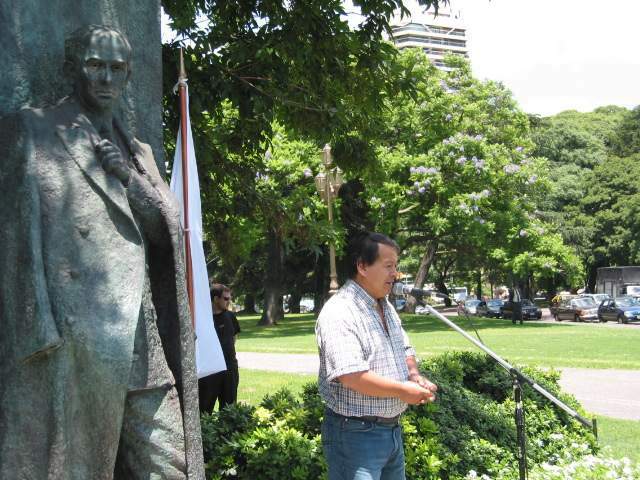 anniversary of the disappearance of the ”Hero without a Grave”, was remembered in Buenos Aires, with the attendance of approximately one hundred people, summoned by the International Raoul Wallenberg Foundation. Among the attendants there were the Swedish Ambassador, Arne Rodin; Ambassador Guillermo Oliveri, Secretary of Cult; Monsignor Nicola Girasoli, from the Apostolic Nunciature; the German Ambassador, Rolf Schumacher; the Slovak Ambassador, Vladimir Gracz; the Polish Ambassador Paszczyk; Minister Thomas Schuller Gotzburg from the Austrian Embassy; Ozgur Yavuzer, Second Secretary of the Turkish Embassy; Radu Sarbu, Councilman of the Rumanian Embassy; Rabi Moguilevsky, from the Libertad Synagogue; Sergio Widder, Director of the Wiesenthal Center for Latin America; Claudio Avruj, Executive Director of DAIA; Guillermo Hayuk, NGO Poder Ciudadano; Ricardo Faerman, IRWF and those saved by Wallenberg in 1944, Tomás Kertesz and Lazlo Ladanyi. 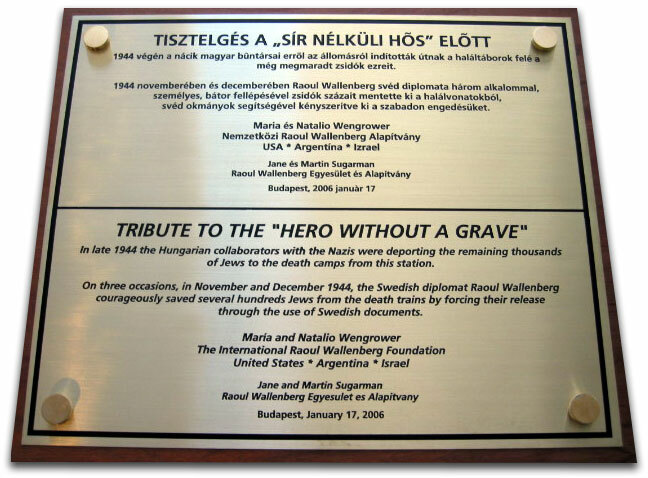 Simultaneously, a remembrance plaque was unveiled in Budapest, in the Josefvàrosi Pàlyandvar railway station, the place where Wallenberg rescued thousands of people destined to extermination camps. 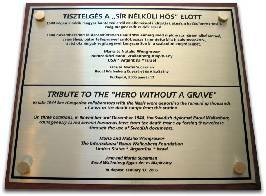 The piece donated by the Vice President of the International Raoul Wallenberg Foundation, Natalio Wengrower, is made out of solid bronze, mounted on a cedar plate, measures 60 by 50 centimeters and weighs 10 kilograms. 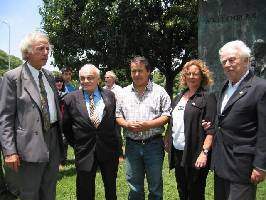 These homage were part of a world series of events organized by the IRWF in: Germany-Argentina-Australia- Belgium-Canada- Chile- China- Ecuador- Spain- United States- France-Hungary- Israel- United Kingdom- Rumania- Sweden.